in 2014 the Minister of Agriculture Keith Colwell committed to meeting with the animal advocate community in Nova Scotia once a year regarding the animal protection laws and in December 2014 new regulations were passed in the province making the tethering of dogs 24/7 illegal, along with other things to protect animals in Nova Scotia like the banning of dogs being allowed in the back of trucks and requiring that any animal that is bought or sold must be accompanied by a certificate of health from a veterinarian. We met again with Minister Colwell in January 2016 to see how the new regulations were going and he asked our group if there was anything we thought could be added to the regulations to make it a better document - and I suggested that perhaps we could add regulations around animal rescues. Minister Colwell gave us until December 2016 when we meet with him again to write these regulations. Currently Nova Scotia is just like everywhere else and anyone can say they are starting a rescue, start fundraising and never take in a rescue - or - people can be running a rescue - and start fundraising for an animal that they haven't actually had surrendered to them - or adopt out animals that haven't received any veterinarian care at all - or adopt out animals that are sick. 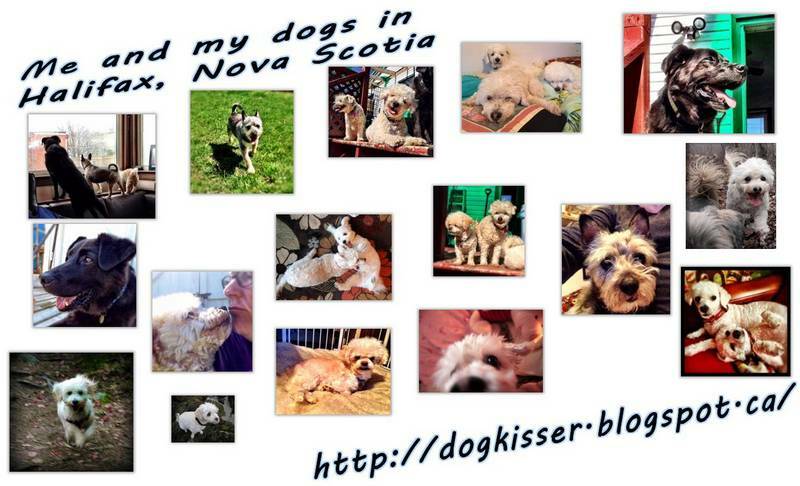 These are all things that happened with rescues here in Nova Scotia and are highly un-ethical - and when it happens paint all rescues with the same brush. There are also businesses out there who try to masquerade as rescues - puppy fllippers - who SAY they are a rescue - when in fact they are businesses - and there are businesses out there - who are registered as businesses at the Registry of Joint Stocks - who have "RESCUE" at the end of their business name - who solicit for fundraising - which is just so wrong on many levels. When an animal needs help in Nova Scotia - they should all land into the same soft arms no matter which rescue they happen to be taken into - and that's currently not happening. And having a standard code of ethics, and regulations that the NS SPCA will enforce will help that. There are a lot of great rescues in Nova Scotia - run by single individuals, and by groups of people - we all do it because we want to help animals. Any rescue that is doing it for the right reasons will welcome these regulations. Recently a small group of rescues met with the Nova Scotia SPCA to go over what the regulations should look like - and as well - the NS SPCA is looking at adding another layer - they are looking at adding a certification process which will be completely voluntary that a rescue can apply for where they can get a "seal of approval" from the NS SPCA. At this point -- the NS SPCA has taken over the writing of the regulations - and they are going to submit what they believe can get passed to Minister Colwell by the fall. Their concern is that there might be an election soon - and if there is - we might lose this window to have these regulations added on a timely basis. I wrote what I would like to see in the regulations but I know probably very little of it will make it into the final document - I put everything in there that I wanted - the "Five freedoms"; a section on positive dog training so that rescue dogs never have a shock collar put on them; a line making Nova Scotia dogs a priority; and that dogs receive required veterinary care. If you would like input on the proposed regulations - you can contact me at dogkisser@gmail.com and I will forward your concerns to the NS SPCA. Animal Rescue for the purpose of these regulations is a person, organization or other legal entity operating in Nova Scotia that engages in the activities of transferring ownership of a domestic animal and does so on a not-for-profit basis. Evaluate each animal exercising good judgment in the placement of that individual animal to the best matching home/environment. Rescue groups will not knowingly place a vicious or dangerously unstable animal in an adoptive home. Full disclosure of any known issues is provided to the adopter in writing at the time of adoption. To always make the ultimate goal of our decisions the quality of life for the dog. At the point where quality of life cannot be obtained in the opinion of the rescue, the animal will be evaluated and euthanized by a veterinarian. Rescues have return policies in their contract that the animal must be returned to them should the adopter find themselves unwilling or unable to keep the animal. They are prepared to accept every returned animal no matter the circumstance. Include the cost of spay/neuter in the adoption fee and complete the adoption. Rescues will ensure through notarization in their adoption contract that adoptive homes will only utilize positive methods in regards to training – and not aversive methods such as shock collars, prong collars or similar articles. The surrender contract will specifically state that the legal ownership of the animal is being transferred to the rescue. Upon signing the contract the person or facility surrendering the dog has no further legal or other claim to the animal. I love what I have read here Joan the animals are so lucky to have you advocating for them and I pray your recommendations make it into law. First off animals are more than "a dog or a cat" you would need to broaden that description, domestic and pets include a variety of species all of which are subject to abuse and neglect and many of whom have rescue organizations already. Secondly why is it suggsfted they cannot have a staff? That is a limiting and unnecessary. Ensuring they are not-for-profit or volunteer-driven is one thing, but preventing a volunteer group from being able to hire someone, even if done so through fundraising efforts is asinine. It is a good base and the majority of it looks good but be careful not to create unnecessary boxes that inadvertently prevent animals from getting the best care. Joan, thanks for everything you are doing to protect dogs and cats. I let almost all comments go through, unless you are attacking me or the subject of my post, in which the comment will be deleted. I also don't let comments go through that I don't feel like approving, so in other words, whether or not the comment will be approved is highly subjective. I've also heard that there is some technical glitch with my commenting function on the blog - and it's really hard to post a comment - which suits me fine, so you might want to save your work before you press send - or you may get a bit angry at yourself for typing all that garbage out - and it was a completely waste of your time. Come and "like" Dogkisser International Headquarters! The first places to look when you're looking for your next pet! Come buy my tshirts and support the rescue of chained dogs!!! If you want to make a photo larger - ie to read the text in the photo - simply click on the photo, and the picture will open up in a new window. To go back to the blog - click back on your browser. Infomonkey.net's got some neat stuff - including this blog!